Valley of Springs Israel offers many attractions. On the night of July 21st, 2016, a full moon night festival will take place. During the festival many attractions will be open for night tours for 10 NIS. This includes: Springs, museums, tours, workshops, etc. Here are some of the attractions I visit in preparation for the festival in the Valley of Springs Israel. Kibbutz Gesher used to be located just near the Jordan River on a strategic point. During the independence war in 1948 the fighting took place here and the kibbutz was ruined almost entirely. The place has turned into a museum (the kibbutz still exists but it was relocated to a nearby area). 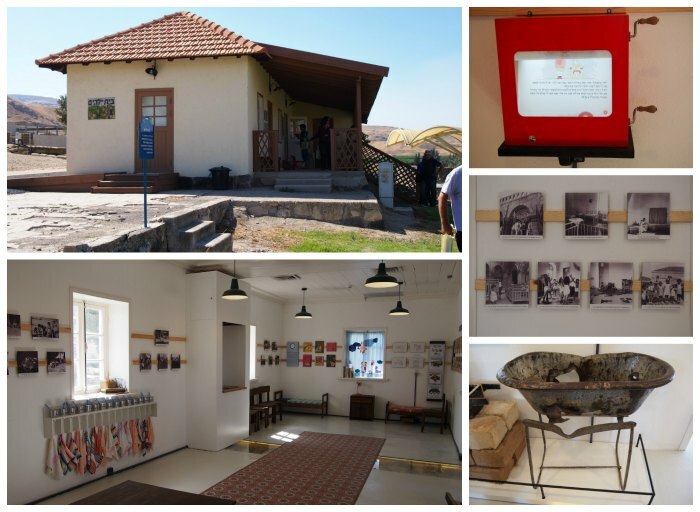 There are a number of exhibits here including the old kibbutz dining room, remains from the history of the ottoman train and the dam. Guided tours are offered here, including one that crosses the border fence to walk along the Jordan River from the other side of it. A new showroom was opened here recently – the Children’s House. 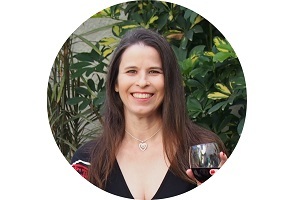 In the kibbutz in the old days, the children did not live with their parents; they stayed in a Children’s House and were raised by the community. They still visited their parents in the afternoons, but they slept and spent most of their time in the Children’s house. The idea behind this was that there was a lot to do in building the country and the parents had to concentrate on it rather than be busy with the children, so the Kibbutz gave them the help in taking care of the children. Using ComeToArt app you can download a guided tour of the Children’s house using your smartphone. Naharayim at Gesher is open daily for tours. During the full moon festival nightly story time will take place with the old days ‘magic lamp’ at 20:00 and 21:00 (price: 10 NIS) and the local bakery (which uses an old – original brick stove of Gesher) will offer Focaccia workshop at 19:00 for the price of 30 NIS. 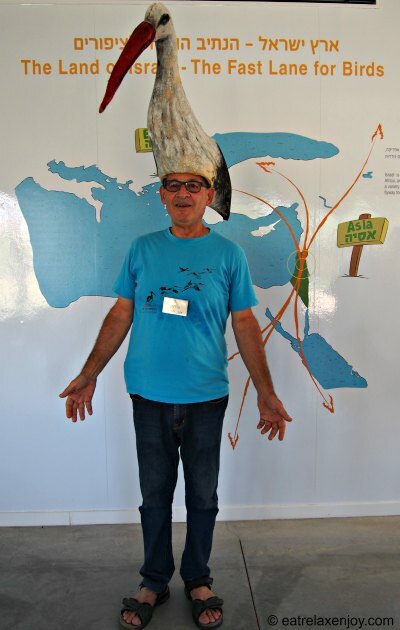 The Birdwatching Center at Kfar Ruppin is the first of 4 International birdwatching centers built around Israel these days. 500 million birds pass bye here between September and May. Because the swamps were dried in the Israeli coastal plane and the urbanization that took place, the natural habitat of these birds was narrowed to the Jordan valley area. During the migration period they fly above the area and stop to rest and freshen up (and eat!) in this area, which is like an oasis. The Birdwatching Center is an educational center, where you can watch a 12 minutes movie that explains how they can sustain agriculture (including fishponds) when 500 million birds pass bye, considering that a hungry pelican can eat up to two pounds of fish in one meal! We met here David Glazner who told us about the special activities of the center. In addition to the movie and the information they provide, they offer guided tours. In the summer it is hot so the activities are in the evening, night or early in the morning, but it is also hot here during the winter, and the tours are offered during the day year-round. The tours show the agriculture, include guided birdwatching and the fishponds. At night they show the bats, the owls and the sounds of the night. During the festival, a twilight tour (18:00), a night tour (20:00) and an early bird watching tour (7:00) will be offered for 10 NIS. Kibbutz Sde Eliyahu specializes in organic agriculture since 1974. 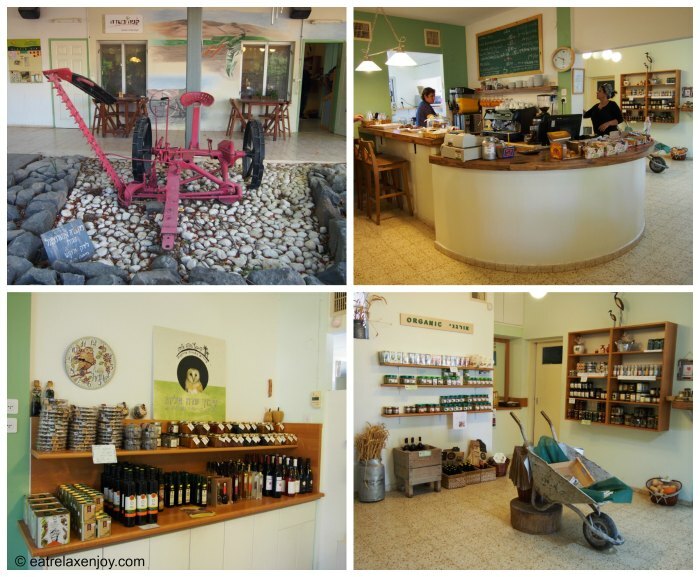 The Kibbutz, located in the Valley of Springs Israel, promotes Ecological farming such as useful insects. For example, they grow sterile flies who mates with the female flies and prevent their reproduction in order to extinct harmful flies. They also grow here bio bees that are used for pollination. As part as the education mission that they have, they offer Ecological tours including workshops. When visiting Sde Eliyahu you can see the bees (don’t worry, they are in a box), collect vegetables in the fields and cook, or make your own herbs mix. At the local coffee shop “Café Basade”(coffee in the field) you can have a light meal and buy local produces. 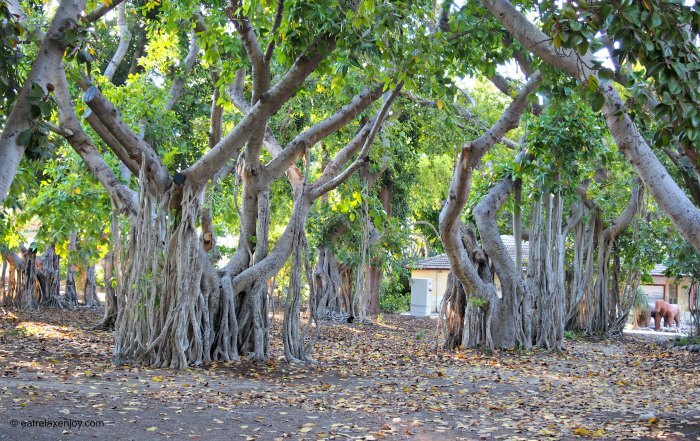 And if you’re here, if they haven’t taken you during the tours – ask where the Ficus Benghalensis Forest is and go there. The Ficus has air-roots which makes it interesting and nice to look at (or even climb on). It is famous for the large amount of shade it provides. During the festival, Bio Tour will offer workshops at 19:00 and 21:00 for 10 NIS. 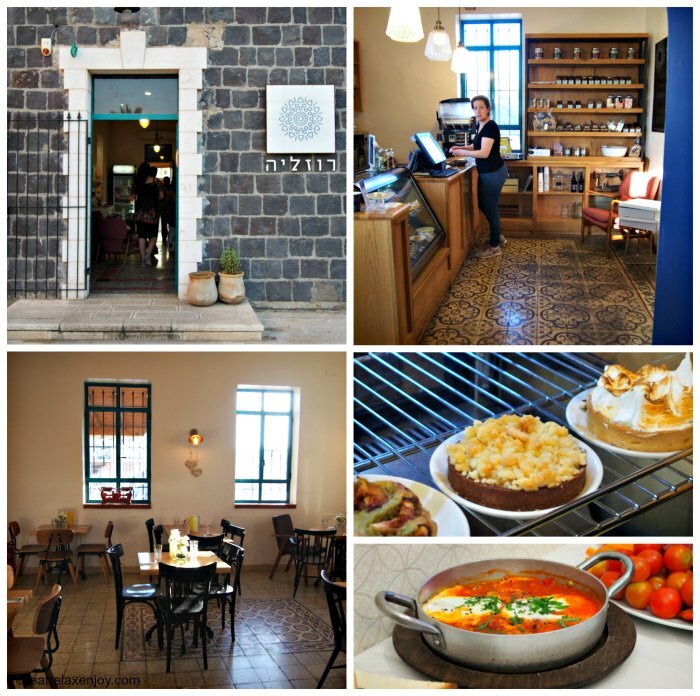 Rozalia is a coffee shop and restaurant located in an old house dated from the Turkish regiment that was refurbished in the old area of Beit Shean. Hannah, the owner, called it after her grandmother Rozalia. This is a family run business and they serve here light meals and good coffee. The place is lovely and the service comes with a big smile! Rozalia is Kosher Mehadrin and they always have gluten free courses available. During the festival they will have a special on children’s meals (39 NIS) – buy one get one free! One of the main attractions in the Valley of Springs Israel is the Springs Park located near Kibbutz Nir David. The park includes Ein Shokek, Ein Mudah and Kibbutz river. But before going to the park, I highly recommend a visit to Gan Garoo Park. I already wrote about it in the past. Gan Garoo is an Australian zoo and there are many animals there with the most interesting ones being the Kuala bears and the kangaroos. 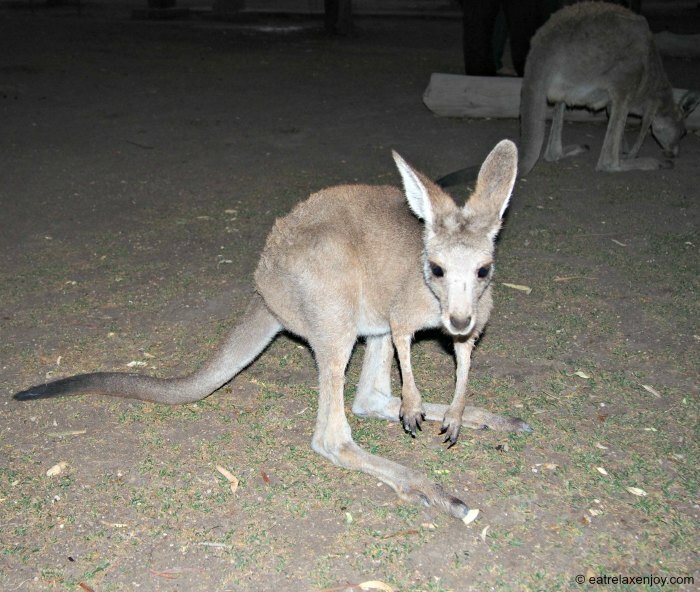 The visit includes a free entry to the Kangaroos yard where you can pet and feed the kangaroos – and the kangaroos will eat from your hands! You can read more about it in the article: Gan Garoo. During the festival three special night tours will be offered – at 20:00, 22:00 and at 5:00 am. The guided night tours are more intimate and give a different viewpoint on the night life of the animals. Gan Garoo have nights in the park in July and August where they open the park at night for camping, including a night tour, bonfire with Australian Aborigine tales and an early morning tour before the park is opened to visitors. To the Springs Park people come to swim in the springs and to have picnics and rest. At the Full Moon night the park offers guided tours in Golf cars including a night swim at 20:00, 22:00, midnight, and at 5am. One of the fun attractions that night is the Mobile Pub that is available for booking for groups. 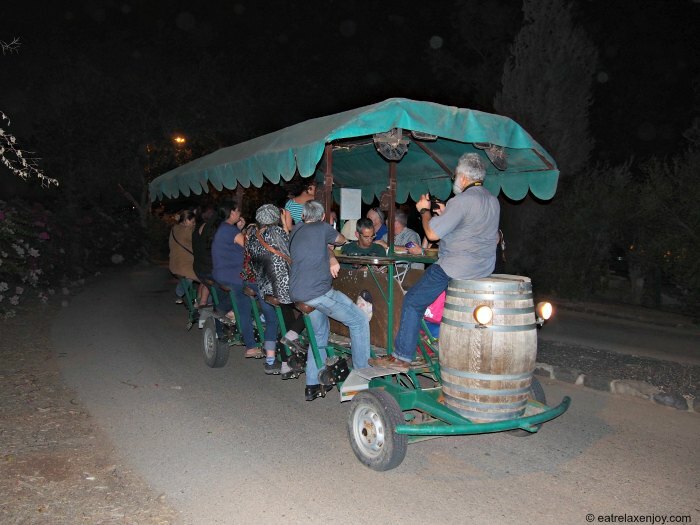 During the festival two tours on the Mobile Pub will be available at 22:00 and ad midnight, including a glass of beer. Each activity will cost 10 NIS. 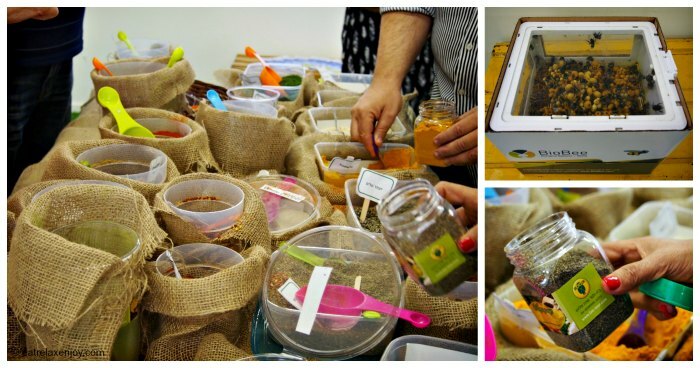 In addition to the above, there will be many workshops (bread making, cheesmaking, cooking, etc.) shows, and special events in the parks and visitors centers. During the festival, information will be provided in all the information centers in the Valley of Springs Israel.